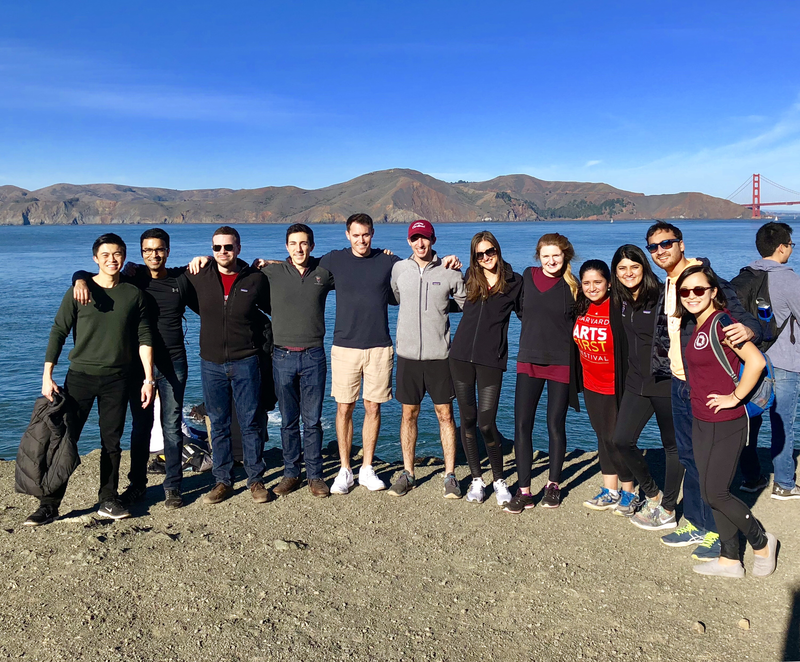 Two days after fall finals, 150 HBS students descended on the Bay Area for WesTrek 2017, the largest professional trek at Harvard Business School. Organized by the Tech Club, WesTrek has been an ongoing tradition at the school for the past two decades. This year, the trek grew 25% due to immense interest in technology companies and venture capital. Over the course of three days, the students explored the Bay Area, met dozens of alumni, and visited over 50 companies across San Francisco and Silicon Valley. This list included big tech names like Facebook, LinkedIn, and Uber, venture capital firms such as Bain Capital, Bessemer, and Greylock, and startups such as Allbirds, Thumbtack, and Patreon. WesTrek attendees were a diverse group with varied backgrounds and professional interests, including sales, operations, product management, marketing, engineering, finance, strategy, investing, and human resources. Francesca Barrett, an MD/MBA candidate, noted that, "As someone with a strong interest in health care, I’ve never had the chance to marry that with the tech industry. Being able to visit start-ups where I learned more about health care applications, was an amazing opportunity, and allowed me to expand my perspectives on how to run smaller companies in comparison to some of the larger ones. Along the way, I was also able to meet so many interesting alumni who were incredibly excited to speak to us and provide varying perspectives on their own careers. This helped me rethink my perspective on my job search going forward. Finally, I made some great friends among classmates, which helped really tie together the whole unique experience." The ‘WesTrekkers’ arrived in San Francisco on a beautiful Sunday morning, and a group of them began the day with a hike through Lands End. In the evening, WesTrekkers got the chance to mingle and meet each other at a kick-off event on Sunday evening. Monday morning began early at 9AM. According to personalized schedules (matched based on individual preferences), attendees made their way to companies within San Francisco, sitting down with CEOs, CFOs, and other company executives to learn about these companies and the speakers’ roles. After a jam-packed day of meetings and Q&A, many WesTrekkers took the chance to meet with nearly 30 HBS alumni in the Bay Area in customized one-on-one coffee chats all across the city. The evening culminated with an alumni meet-and-greet, where alumni from around the Bay Area joined WesTrekkers and newly admitted HBS students. Tuesday brought visits to Silicon Valley, which meant that WesTrekkers took the Caltrain, Uber, and rental cars down to the peninsula to meet with their selected companies. It was a day filled with many shared rides with fellow attendees and tours through massive, colorful campuses at places like Google, Nvidia, and SurveyMonkey. The day concluded with two separate company-hosted events at General Catalyst and Dropbox, where WesTrekkers spent an intimate evening socializing and learning from these companies’ executives. 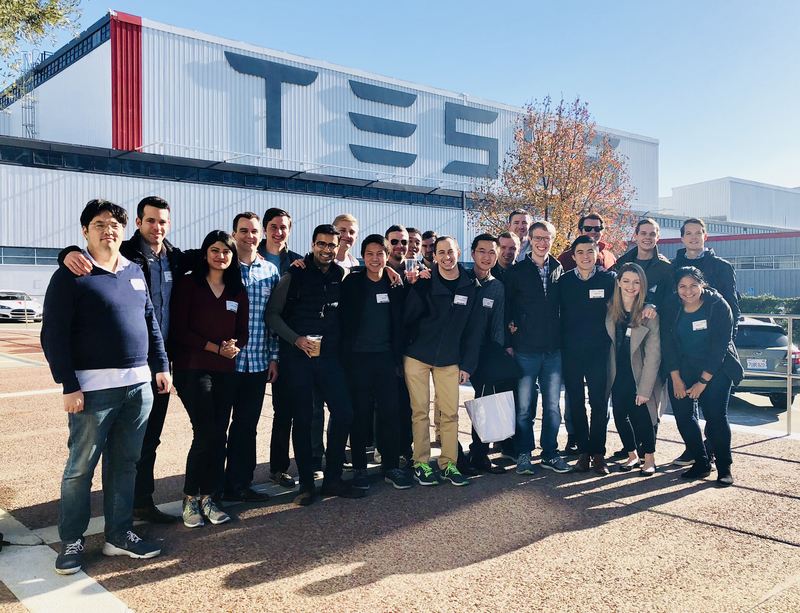 On the final day of programming, a few dozen students had the opportunity to visit some Tesla employees at Tesla’s main factory in Fremont. WesTrekkers had an exclusive tour of the massive facility, with its automation and immense machinery. As WesTrek came to a close, all 150 attendees reflected on the four days of amazing meetings, fun events, and long-lasting friendships. There were few regrets in spending the first four days of winter vacation learning from alumni and companies across the Bay Area, with overwhelmingly positive feedback from both the attendees and the companies that hosted the meetings. The WesTrek leadership team is looking forward to hosting WesTrek again in 2018! Rachna Raina (MBA ’19) was a co-President leading WesTrek 2017. Dennis Chua (co-President of WesTrek 2017, MBA ’19), and Troy Peterson (VP of Big Tech, MBA ’19) also contributed to this blog post.